Our MOBI F500-T™ is built with the rigidity industry professionals demand and is equipped to handle full-size vehicles such as suburban's, Explorer's, Yukon's, Escalades, Econoline vans and others. Our MOBI brand mortuary stretchers are backed by our ONE YEAR manufactures warranty. The height can easily be adjusted at both ends and has additional elevation at the load end to accommodate 32 inches. 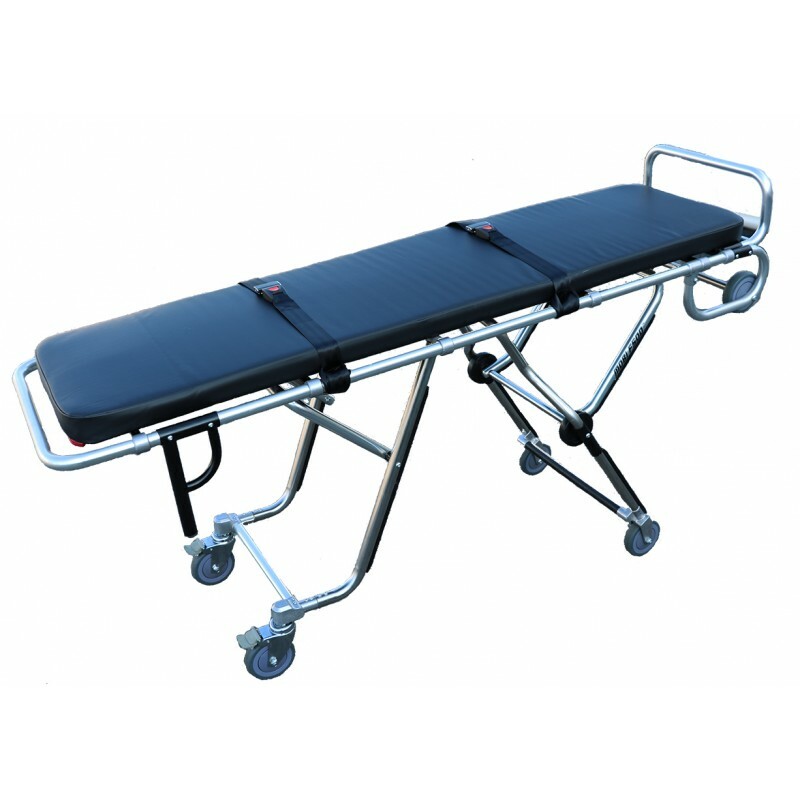 The stretcher is designed for Funeral and Body Removal first call services and can be operated and used by one person when retrieving, loading, and transporting. The MOBI F500-T™ stretcher is durable, lightweight and built with high strength aluminum alloy and stainless steel materials. This cot includes a weight capacity up to 600 lbs, comes equipped with a black mattress pad, 2 durable buckle straps, cot cover and wheel locks. "We Ordered the new F500T since our new removal van was a little taller than the others and a ramp was just more than we needed. It works so well and the raised end is actually better than a ramp. 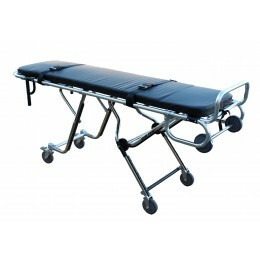 We also purchased a FS350 Foldable Stretcher. Great piece of equipment. The extra set of wheels on the end really do make a difference when there is no room to turn around in a narrow hallway. They were always in contact and very helpful being this was our first time doing business with them. Great Quality, Great Service and Great Prices."